$3 in New Arm & Hammer Laundry Coupons = 3 FREE at ShopRite! 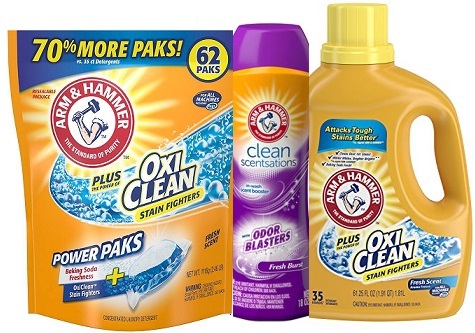 There are 3 new Arm & Hammer Laundry Coupons available to print. They are listed below. Now through 2/9, ShopRite has the Arm & Hammer Laundry Detergent, Power Paks & Scent Booster on sale for $1.99 and there is some new ShopRite Arm & Hammer eCoupons available to clip, making all 3 of these FREE after stacked offers!